Download your Soundclick “Instant Delivery Beat Store” design right after purchase. Setup Instructions included. 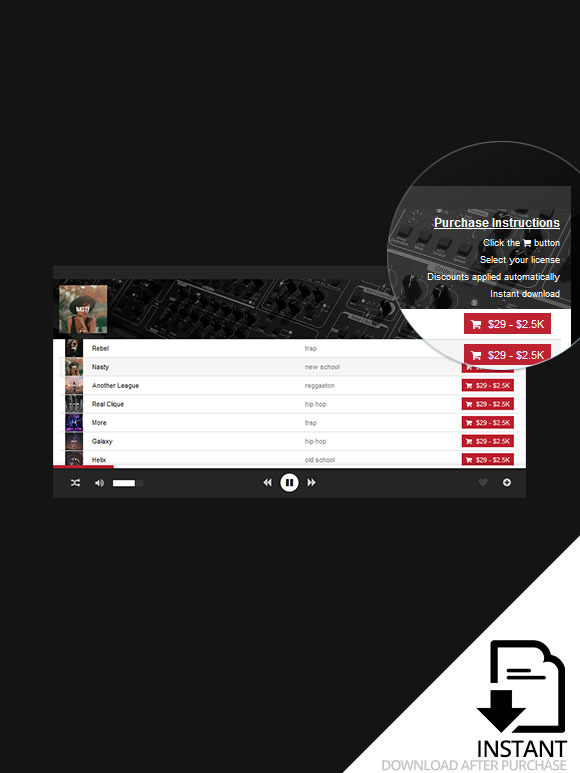 With this new instant download Soundclick “Instant Delivery Beat Store” Design you can change the look of your Soundclick License Store in no time! Download the files ( CSS code and Setup Instructions .PDF) right after purchase. An email with a download link to the .ZIP file will be sent to your account email or you can find your link at your account page. No program or coding knowledge is required. Use this Design to optimize the look of your Beat Store. 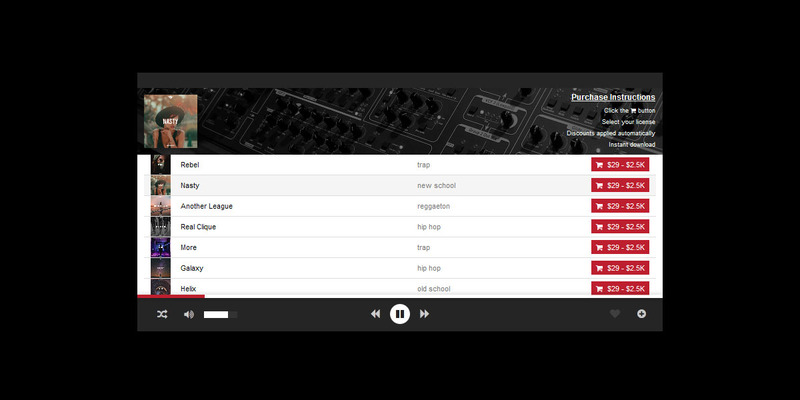 The Playlist is bigger and the License Button more noticeable. Please make sure you have a Pro SoundClick Account before any order! Please Note: Selling this Design or any of the included files is prohibited and has legal consequences.